The 4-star Novotel Venezia Mestre Castellana hotel is ideal for both business and leisure stays. Close to the ring road, only 1.2 miles (2 km) from Mestre railway station and 6.2 miles (10 km) from Venice Marco Polo airport. For guests arriving by car: Venice is easily reachable by car (4.4 miles/7 km), bus or tram (30 min.). Shuttle to/from Venice available for a fee in summer weekends. Hotel facilities: convention center with 6 meeting rooms, lounge bar, restaurant, pool in summer and fitness area. 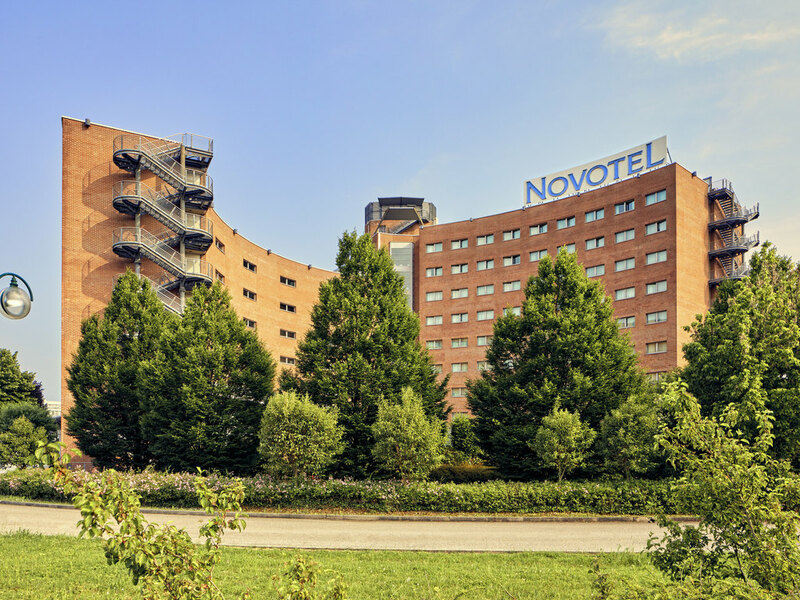 The Novotel Venezia Mestre Castellana hotel is located a few minutes from the center of Mestre and the lovely Piazza Ferretto. From the hotel, you can reach Venice by car and by bus. For true romantics, a sunset gondola ride is not to be missed. At our bar you can find a wide selection of whiskies and sample international cocktails and the local Spritz, specially prepared for you and served by the pool.